Workers on the assembly line for gas turbines at the General Electric energy plant in Greenville, South Carolina. GE does not see demand rebounding soon. The market for gas-powered turbines will total less than 30 gigawatts this year and remain stagnant through 2020, GE forecast. Two years ago, the market for gas turbines stood at 48 gigawatts. In light of that, GE expects its 2018 turbine sales to be about half what they were last year. To address the weakness in the unit, it is cutting costs, slashing its workforce and reducing its footprint to serve a smaller market. 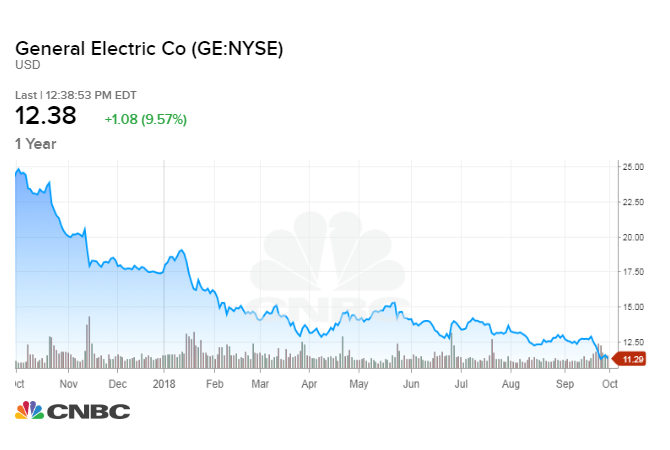 The cyclical downturn in the turbine market and the structural and operational challenges that GE Power faces can’t be fixed quickly or easily, Cowen analyst Gautam Khanna said in a research note on Monday. However, Culp’s appointment could at least quell investor fears that have driven the stock down by nearly 50 percent over the last year. Joshua Aguilar, equity analyst at Morningstar, said he expects Culp to expedite GE’s plans to cut costs and put a microscope on the power business, which is currently run by GE veteran Russel Stokes. GE cut about $560 million of costs in the first half of 2018, more than half its target of $1 billion, executives said in a second-quarter conference call. In the meantime, the growth in renewable energy sources that has put pressure on GE’s gas turbines business is unlikely to ease any time soon, Aguilar said.